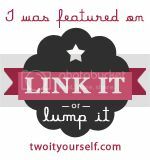 Welcome to another Link It or Lump It Party! There were so many amazing crafts, DIYs, recipes and more linked up, it is getting tougher and tougher each week for me and my co-hosts Amy from Delineate Your Dwelling and Alison from Dream a Little Bigger to pick just a few features each. Before I introduce this week's co-host and share my features, I have some totally, big and exciting news to share with all of you. 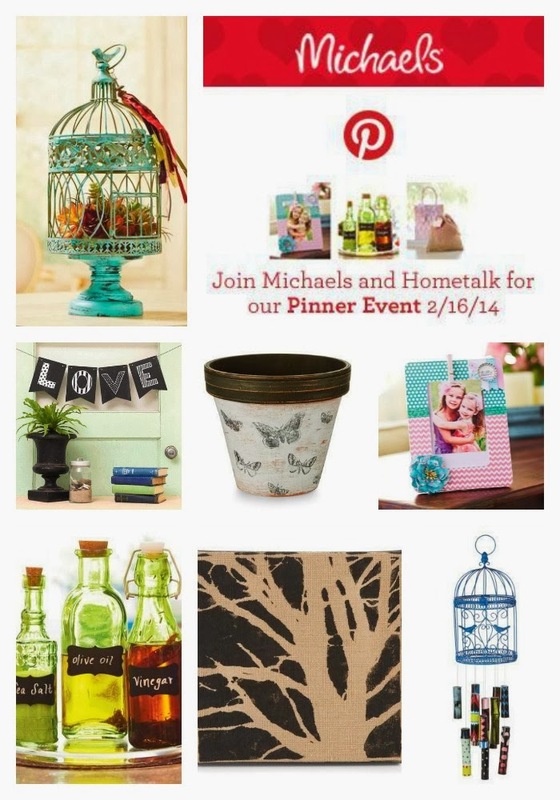 I have been asked by Hometalk and Michaels Stores to be one of the bloggers to host a Pinterest Party at my local Michaels on February 16! Every Michaels Store will have a Pinterest Party and you're all invited...so come on out and craft with your favorite bloggers. Click the photo below for more info and to enter to win a $100 Michaels gift card! This week we're joined by another guest co-host. 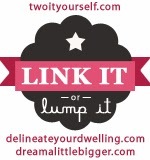 Please help us welcome Caroline from Stumbling Upon Happiness. Caroline joins us all the way from Switzerland. She says, "A year ago, my husband was offered a wonderful job opportunity in Geneva, Switzerland. We decided to take the offer and are now enjoying everything Switzerland and Europe have to offer! I started blogging to share our travel experiences and life with our friends and family back home. Now I blog not just about travel and life, but also food. I really enjoy sharing my passions for food, travel, and life with my readers and hope to share them with you too!" 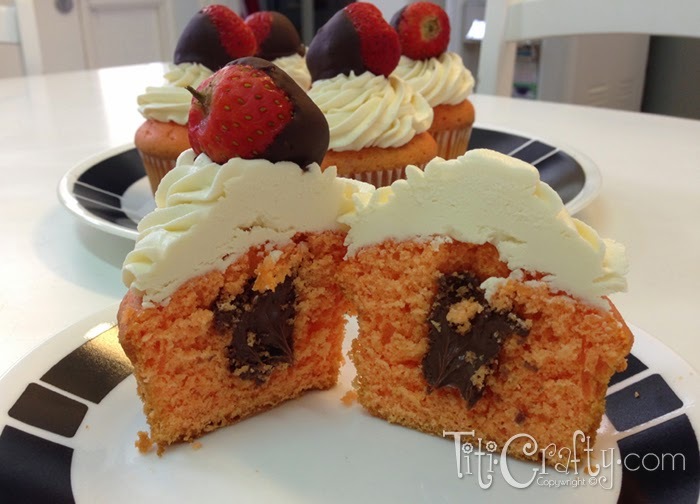 First up, we have Titi Crafty's Nutella Stuffed Vanilla Cupcakes. Um, hello, she had me at Nutella. I swear I have a slight massive obsession with the stuff. Did you know last week on National Nutella Day (Feb 5), I ate 5 huge spoonfuls of Nutella. Did I mention I'm Paleo. I'm a bad cavewoman and you know what I don't care because I'd be willing to bet if cavemen and women knew about Nutella back in the day they'd be adding it to their caveman diet! There's not much that I love more in the DIY world than a craft that that makes a big impact for very little money and time. Look at these adorable Washi Tape Votive Candles by Four and Know More. They're perfect! 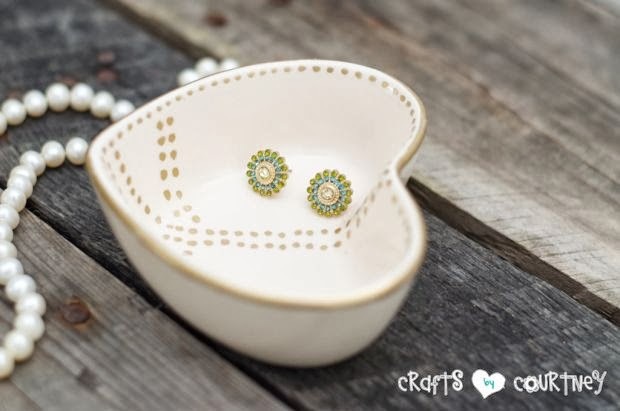 Courtney at Crafts by Courtney is a girl after my own heart with this awesome Pottery Barn knockoff Heart Catchall. Can you believe it only cost her about $2!? That's a 90% savings over the PB version.